Another novel that puts Professor Moriarty front and center. 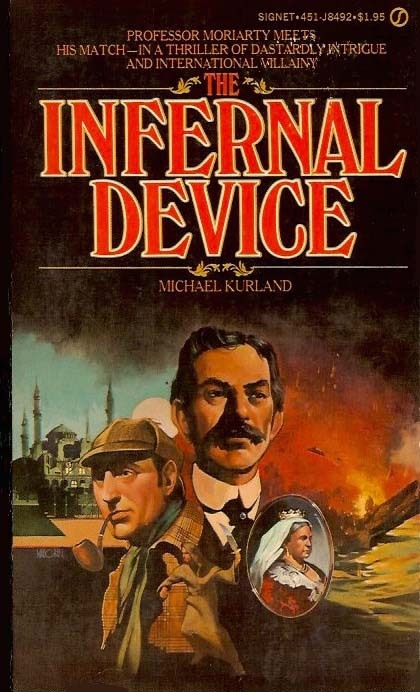 Michael Kurland also penned sequels: Death By Gaslight, The Empress of India, The Great Game and Who Thinks Evil. Great cover art on this first paperback edition from 1979.
Who was the single figure who alone could foil the most cunning plot ever to threaten civilization with unspeakable horror? Professor James Moriarty, the Napoleon of Crime, and now the world's last hope to circumvent the villainy of a loathsome Russian for.